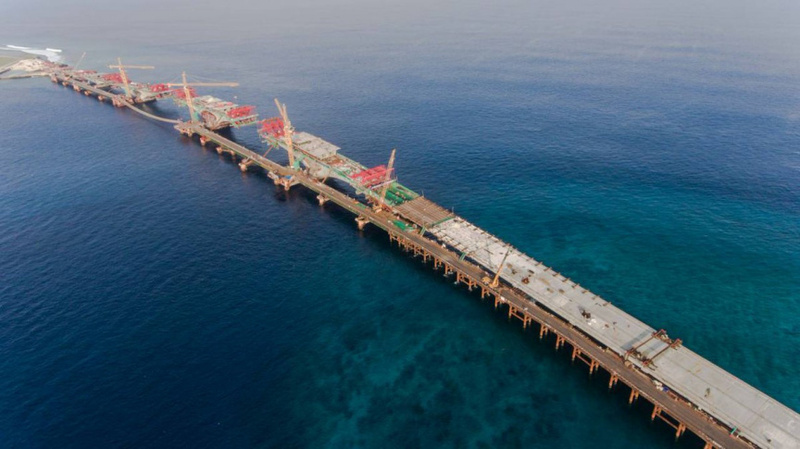 All the piers on the Male’ side of the China-Maldives Friendship Bridge between Male’ City and Hulhule’ have now been connected via concrete bridge deck, says Minister of Housing and Infrastructure, Dr. Mohamed Muizzu. The announcement was made by Muizzu via his official Twitter this Thursday morning. Muizzu said the concrete bridge deck now covers a 540-meter area from Male’ City.